Our New Student Welcome is an event created to acquaint new scholarship recipients with their new mentors, the Foundation and each other. 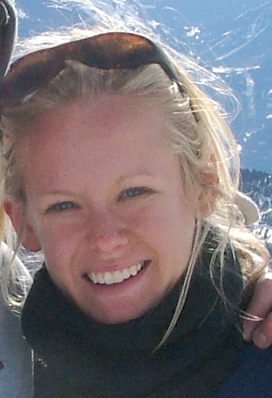 My name is Lauren Groth, and I’m a former Scholarship Foundation recipient from 2001-2005. I attended John Adams High school and then went to Northwestern University, in part due to the scholarship I received from the Foundation. As the child of two public school teachers, the scholarship was immensely helpful in allowing me to attend a private university- going to Northwestern would not have been possible otherwise. I truly believe the scholarship was the first step in a series of doors that were opened for me. Through the scholarship I was able to expand my horizons, attend a wonderful university, move on to live abroad, attend law school and now work as a lawyer in Washington DC. I’m extremely grateful to the Scholarship Foundation for the scholarship and the opportunities it provided me.